Are you making some projects with Halloween images? 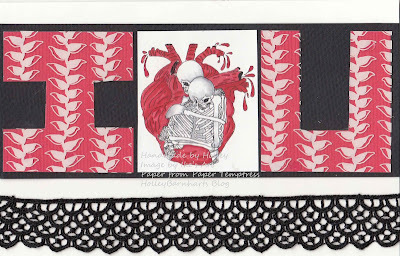 I have this fun image called Heart of Bones. How awesome is that? I paired that image with some gorgeous papers from Paper Temptress and some stunning lace I got in Turkiye. This card is giant, at 8.5″ wide and 5.5″ high (half a cardstock sheet folded). Here’s the gorgeous papers from Paper Temptress on this fun card, the card base and image are done on Neenah Solar White Classic Crest. The black cardstock is a wonderful textured paper called felt grandee black. The transparency comes from Hambly Studio Overylays and is called White Hanging Heliconias. I totally recommend going with the 6×6″ assortment packs as they are just perfect for greeting card making. 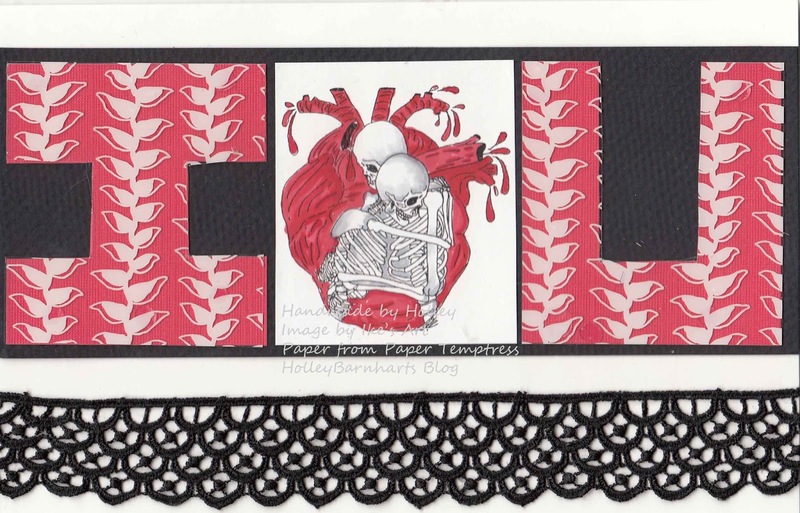 Here’s a fun way to make a special card that combines love and Halloween theme all in one!